The pros, cons and realities of reducing your sugar intake. While it’s true that sugar features as an ingredient in many of the processed foods we regularly enjoy, the statistics tell a different story: sugar consumption in this country has actually declined since the 1970s. Between 1970 and 2011, our per capita consumption of refined sugar fell 16.5 per cent. Sugar intake can certainly play a role in weight gain, but we need to view it within the context of other lifestyle choices (insufficient exercise, high-fat processed foods, overly-generous meal portions, binge eating, etc.) instead of painting it as the main offender. Sugar-reduced and sugar-free diets are increasingly in the news. Andrew Bogut, who plays centre for the NBA World Champion Golden State Warriors, recently credited watching a New Zealand documentary ‘Is Sugar the New Fat?’ for his decision to cut out sugar in preparation for the 2015-2106 basketball season. Aussies still ingest more sugar per capita than their counterparts in the US, UK and Canada. In the process, he lost 10 kilograms and has become noticeably more agile – a handy advantage on a team that’s one of the most energetic in basketball history. Statistics are useful things, but they don’t always tell the complete story. There’s always another side to the coin. It’s easy to jump on the fact that we’re eating less sugar than before (while obesity rates rise) as proof that sugar isn’t the demon it’s often portrayed as. But here’s another fact: Aussies still ingest more sugar per capita than their counterparts in the US, UK and Canada. When it comes to sugar-guzzling, proudly proclaiming a declining intake doesn’t mean so much if our starting point is one of gross over-consumption. 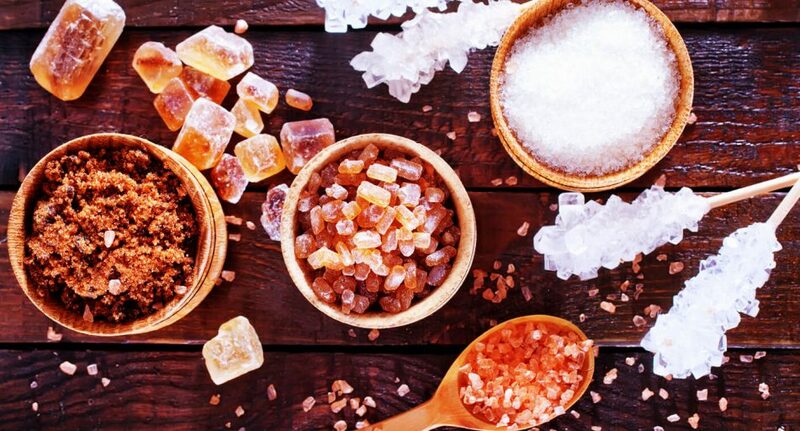 Recently, the World Health Organisation recommended that sugar should make up less than 10 per cent of a person’s daily energy intake, and suggested extra health benefits would result from reducing consumption even further – to less than 5 per cent. For an average-sized person, this equates to about six teaspoons or around 25 grams per day. Their recommendation refers to all the sugars added by food manufacturers and consumers as well as the sugars found naturally in fruit juices, fruit concentrate, syrups and honey. The sugar that’s an inherent part of intact veggies and fruit was excluded from their guidelines. So how hard would it be to chop your sugar intake down to 6 teaspoons a day? The average Aussie gulps down around 27 teaspoons of sugar each day. For most of us it would take a serious effort, considering that the average Aussie gulps down around 27 teaspoons of the stuff each day in one form or another. And even if you managed it, sugar reduction on its own is only part of the diet solution. Dr. Alan Barclay, research scientist at the Australian Diabetes Council, while acknowledging that a sugar-laden diet contributes to tooth decay and adds unnecessary calories, believes that refined starches are at least as problematic as sugar – and suggests that the processed starches in foods like potato chips and rice crackers are as much to blame for weight gain as sugar. The first meal of the day can be a killer when it comes to sugar, especially if you eat a lot of packaged breakfast cereals, fruity or vanilla yoghurts and spreads like honey, marmalade and jam (use avocado, cottage cheese or sliced banana on your toast instead). When looking at labels, remember that sugar may be called by other names: dextrose, fructose, sucrose, glucose or high-fructose corn syrup (HFCS). When you’re reading how many grams of sugar something contains, keep in my mind that a teaspoon of granulated sugar equals roughly 4 grams. If you make a habit of drinking fruit juice with breakfast, go for freshly squeezed or 100 per cent juice with no added sugar. ‘Fruit drink’ is a label you want to avoid – these are typically loaded with extra sugar and offer very little in the way of real fruit. Be wary of ‘low-fat’ yoghurts – flavour-wise, they’re often sugar-saturated to compensate for the reduction in fat. Don’t buy flavoured oatmeal packets: they can be high in sugar content. Healthy, low-sugar breakfast choices include natural muesli, flaked or puffed quinoa, buckwheat or porridge made from whole oats. Don’t buy flavoured oatmeal packets: they can be high in sugar content. Traditional oats are better for you. Top your cereal with fresh or dried fruit, natural yoghurt, cinnamon or a nut/seed mixture you’ve made up yourself. Get into the habit of making your own lunch the night before rather than taking the lazy option and eating takeaway lunches at work each day. It’s true that healthy takeaway options can be found, but it’s often hard to know how much sugar (or fat) is hiding in a typical away-from-home meal. Even a healthy salad can become calorie-rich when that creamy dressing is poured all over it. Some muesli, protein or energy bars can be healthy, but check the ingredients. Many of these snack items contain high levels of sugar and processed starches. Packaged, store-bought muffins are notorious for being packed with sugar and saturated fat, so if you want to have muffins with your lunch, bake a batch of healthy ones yourself on the weekend and use those. Condiments like mustard, tomato sauce, soy sauce and barbecue sauce tend to be sugar-saturated. Next time you pick up a bottle of tomato sauce, inspect the label – you may find that sugar is the second ingredient listed, right after tomatoes. When you’ve come home from a hard day’s work, you don’t always feel like cooking a healthy meal from scratch – but a dinner made up of pre-packaged convenience foods is likely to have some added sugar. Check the labels on store-bought pasta sauces, frozen pizzas, microwave dinners and anything that bills itself as ‘instant’ or ‘ready-to-eat’. Tinned tomatoes, tinned fruit and even otherwise healthy tinned veggies may have extra sugar. Check the labels on store-bought pasta sauces, frozen pizzas, microwave dinners and anything that bills itself as ‘instant’ or ‘ready-to-eat’. As an experiment the next time you’re shopping, check the labels on applesauce, frozen yoghurt, mint jelly, tinned fruit in syrup, frozen barbecued spare ribs, bottled ice tea, chocolate milk, Caesar salad dressing and frozen ‘diet’ desserts. And while no-sugar or low-sugar jars of spaghetti sauce do exist, you’ll have to search for them. Just remember, the fewer ultra-processed foods you eat at dinner, the more control you’ll have over how much sugar you’re taking in. Desserts are supposed to be sweet, but you should aim for natural sweetness rather than packaged desserts with refined sugar. Instead of that grocery mud cake, why not poach some fresh pears or peaches in wine and top with cinnamon? Instead of gulping down half a tub of chocolate ice cream, make a fresh fruit salad and add some toasted slivered almonds. You’ll be hard-pressed to find a single store-bought dessert that doesn’t contain sugar or some form of artificial sweetener, so make your own desserts at home. Broiled mango or pineapple with shredded coconut may sound a bit strange at first, but go ahead – give it a try! Despite all the bad press sugar gets, your body can’t function properly without it. It’s our main source of fuel. What’s important is to understand the difference between simple sugars and sugars that come from digesting complex carbohydrates. Simple sugars (honey, table sugar, syrup) are nutrient-poor, and because they metabolise quickly they can cause blood sugar spikes followed by rapid drops. On the other hand, foods that are rich in complex carbohydrates – such as wholegrain breads and pastas, dairy products, nuts, beans, cereals, fruit, seeds and vegetables – tend to have more vitamins and minerals than simple sugars and are digested more slowly, providing more sustained energy and improved nutrition. According to many diet experts, excessive consumption of simple sugars can lead to an assortment of health complications and diseases. The human body normally does a pretty good job of storing excess glucose through a process called glycogenesis, but problems arise once that storage capacity is exceeded. When that happens, the excess is turned into fat. According to many diet experts, excessive consumption of simple sugars can lead to an assortment of health complications and diseases. What all this means in practical terms is that if you eat a balanced diet of healthy, minimally processed foods that includes all food groups and sufficient complex carbohydrates, your body will get the fuel and nutrition it requires to stay healthy. This needs to be combined with exercise and improved lifestyle habits as well for maximum benefit, of course. Smoking, alcohol consumption, sleep deprivation, stress and other factors all play their part in our ongoing health too. How many empty calories are you consuming? An ‘empty calorie’ is a calorie that comes with little or no nutritional benefit; it is generally found in foods containing added sugars and/or solid fats. Solid fats include things like shortening, butter and beef fat. While some foods have naturally occurring solid fats, others have solid fat added during the manufacturing process. Food suppliers discovered long ago that consumers love the taste of sugar and fat, so they constantly give us what we crave. The result is that much of the food in our local supermarkets can be classified as ‘empty calorie food’. Some of the most common empty calorie foods are pastries, cakes, doughnuts, cookies, cheese, ice cream, frozen pizza, bacon, sausages, ribs and an array of sugary drinks including soft drinks, fruit drinks, sports drinks and energy drinks. Much of what you find in the confectionary aisle (lollies, chocolate bars, etc.) is empty calorie food as well. A plain baked potato is perfectly healthy, but the cheese sauce, sour cream, bacon chips and other goodies you bury it under will certainly ramp up the calorie count. In many cases, it’s possible to select a less-sugary, less fatty version of a particular food. Baked, skinless chicken breast will be less fatty than deep fried chicken with the skin on. Unsweetened applesauce will be a better choice than the added-sugar variety. Often it comes down to what you’re piling on top of food. A plain baked potato is perfectly healthy, but the cheese sauce, sour cream, bacon chips and other goodies you bury it under will certainly ramp up the calorie count. A drizzle of honey on your morning porridge isn’t something to be frightened of, any more than the occasional glass of wine, piece of cake or dollop of ice cream is going to send you straight to the hospital. It’s clear that many Australians could use more exercise and healthier diets (including a reduction in intake of added sugar), but it’s important to keep everything in perspective. If you plan to introduce any drastic changes to your present diet for medical or lifestyle reasons, always consult your doctor first. Health checkups and fitness exams can tell you a lot about your current physical state – and a medical professional can help you take steps to improve it. Ultimately, weight gain occurs when we take in more calories than we expend. A sensible diet should include plenty of fresh, wholesome foods that provide maximum nutrients along with the calories. If your diet contains a lot of processed foods, you may be eating more added sugar and unhealthy fats than you realise. In life and in health, ‘everything in moderation’ is a time-tested philosophy that makes sense.